Steven R. Gerbsman, Principal of Gerbsman Partners, Kenneth Hardesty and James Skelton, members of Gerbsman Partners Board of Intellectual Capital, announced today their success in maximizing stakeholder value for a venture capital and venture lending backed manufacturer of precision solutions enabled by femtosecond laser technology. 4. The ability to Communicate with the Board of Directors, senior management, senior lender, creditors, vendors and all stakeholders in interest. Gerbsman Partners focuses on maximizing enterprise value for stakeholders and shareholders in under-performing, under-capitalized and under-valued companies and their Intellectual Property. 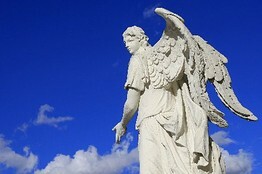 Since 2001, Gerbsman Partners has been involved in maximizing value for 89 Technology, Medical Device, Life Science, Solar; Digital Marketing and Social Commerce and Fuel Cell companies and their Intellectual Property and has restructured/terminated over $810 million of real estate executory contracts and equipment lease/sub-debt obligations. Since inception in 1980, Gerbsman Partners has been involved in over $2.3 billion of financings, restructuring and M&A transactions. Gerbsman Partners has offices and strategic alliances in San Francisco, Boston, New York, Orange County, Washington, DC, McLean, VA, Europe and Israel. 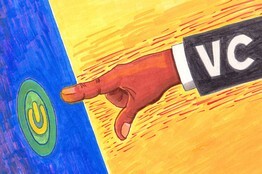 An inside look from VentureWire at high-tech start-ups and their investors. Eager to own a slice of the wildly profitable Finnish mobile game maker Supercell, venture investors have purchased existing shares totaling $130 million at a $770 million valuation. Index Ventures led the deal with participation from Institutional Venture Partners and Atomico. Founded in 2011, SuperCell is currently the highest-grossing iOS game developer with “Clash of Clans” and “Hay Day” now bringing in $2.5 million of revenue daily. Enlighted raised $20 million in Series C funding led by Rockport Capital for its lighting-controls technology, as it operates in a quickly changing market where the price for lighting emitting diodes is declining. The company makes sensors and software that is installed in commercial spaces and that helps decide when to dim lights. A newer application of the technology would also allow the sensors to measure temperature and occupancy, and control not just lighting but also air conditioning. Also in today’s VentureWire, Reduxio Systems has raised a $9 million Series A round led by Jerusalem Venture Partners and Carmel Ventures. Reduxio is developing storage systems that make use of both flash memory and hard drives…Smart-home startup Zonoff has secured a $3.8 million Series A round for software that makes all kinds of smart-home devices work smoothly together and makes them easier to set up and control…and Crowdtilt has raised $12 million in Series A funding led by Andreessen Horowitz to bring a new twist to crowdfunding. Crowdtilt’s apps give groups an easy way to fund their own initiatives, rather than asking for money from strangers online. Launching mobile game apps is getting expensive. Case in point: ZeptoLab says it will spend about $1 million to launch “Cut the Rope: Time Travel” but it spent almost nothing to promote the first “Cut the Rope” game’s release in 2010, The Wall Street Journal reports. What has changed is the mobile games business, which is now so competitive that word-of-mouth marketing is no longer enough. Jon Flint, a founder of venture firm Polaris Partners, got into the hair-care business after his stylist suggested that he take a meeting with a colleague in New York who wanted to start a company. Flint and his partners turned to MIT”s Robert Langer to come up with innovative products. Flint talks with WSJ about the company that resulted, Living Proof, which is co-owned by actress Jennifer Aniston. Silicon Valley startups are increasingly hiring testing companies to vet apps before releasing them to the public, WSJ reports. I’m happy to send this update on the exciting progress at Cupcake Digital, Inc. Please watch later this month for more releases, including our first Animal Planet title. I am also proud to announce our partnership with American Greeting’s Strawberry Shortcake. The team is already working on our first Strawberry Shortcake app. I will be sending more news on this property soon. 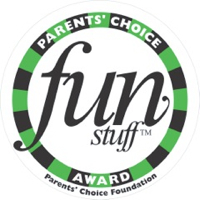 I am happy to report that four of our children’s apps were named Parents’ Choice Award winners. Specifically: Wubbzy’s Pirate Treasure; Wubbzy’s Space Adventure; Wubbzy’s The Night Before Christmas; and Wubbzy’s Train Adventure. Cupcake Digital has also been lauded as one of the top app companies, winning awards like the AppySmart’s Editor’s Favorite for Wubbzy’s Fire Engine, Wubbzy’s Night Before Christmas, and Wubbzy’s Space Adventure and garnering dozens of favorable reviews including iPad Kids, Jellybeans Tunes, Appolicious, Rock-A-Bye Parents, AOL Tech, Wired and many more. 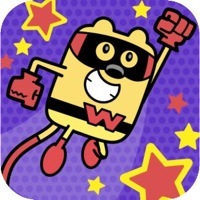 On Friday, March 22, 2013, Wubbzy’s Space Adventure was a top feature in the special free app of the day (“FAD”) promotion for the 2013 anniversary of the Amazon apps platform in the US and EU. We’re very excited about this promotion, and look forward to seeing more customers download this app! In the upcoming weeks and months I will continue to update you our partnerships with our distribution partners. As always, if you have not already done so, please visit http://www.cupcakedigital.com/apps/ and click on the store icon of your choice (iTunes, Amazon, Google Play or Nook) to download our apps on any mobile phone or tablet device. Give it a test drive and make sure to write a review! Encourage your friends, family and loved ones to do the same. Help us create a bigger viral buzz about the quality of our products. Thank you for your support! I will continue to update you on a regular basis. In the meantime, please feel free to contact me anytime with questions or comments.